You may have heard some buzz lately about transitional kindergarten (TK) and are wondering what it is. Or maybe your child is already in a transitional kindergarten program and you’re wondering how it will be beneficial. Whether you’re a parent searching for options for your 4- and 5-year-olds or a teacher looking for transitional kindergarten resources—look no further! Learning Without Tears is introducing its brand new product offerings for transitional kindergarten. Before we fill you in on our exciting new developments, let’s take a look at what, exactly, transitional kindergarten is and how it can benefit young students in that crucial developmental stage between Pre-K and kindergarten. The concept of transitional kindergarten was pioneered by the State of California in 2010 when a law was passed called the Kindergarten Readiness Act to make a place for 4-year-old and new 5-year-old children who are developmentally in-between preschool and kindergarten. Transitional kindergarten offers children with late birthdays extra time and a developmentally appropriate curriculum to prepare them for entering kindergarten. 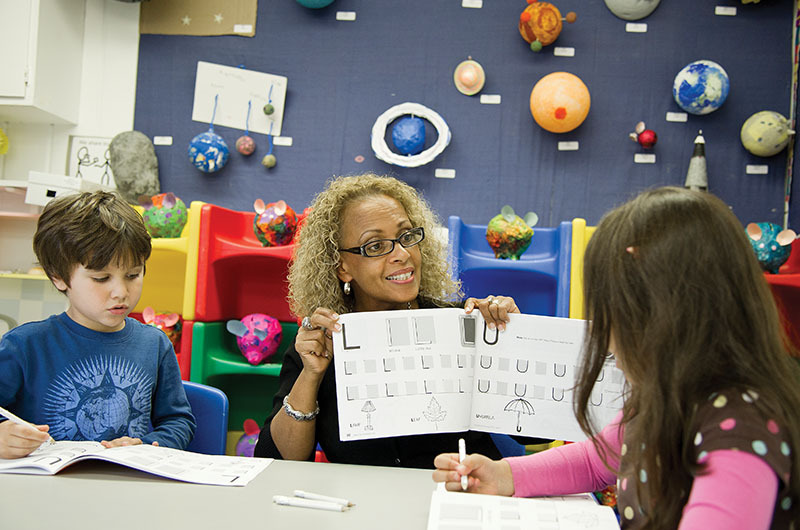 In an academic world where standards for kindergarteners are increasingly similar to those once expected of first graders, transitional kindergarten provides an appropriate bridge to meet social-emotional and academic needs of younger rising kindergarten students who might not be ready for traditional kindergarten. Transitional kindergarten teaches children the foundational learning skills they need in order to be comfortable in a classroom environment among their peers. By delaying the enrollment year for kindergarten, 4-year-olds and young 5-year-olds are offered the time to build the foundation skills necessary for them to adapt successfully to kindergarten when they are ready. Students not only learn essential pre-literacy, pre-math, and other cognitive skills, but also develop social and self-regulation skills needed to succeed in school and life. Transitional kindergarten provides a bridge from Pre-K to kindergarten, and the Kick Start Kindergarten workbook is designed to provide a developmentally appropriate teaching resource. 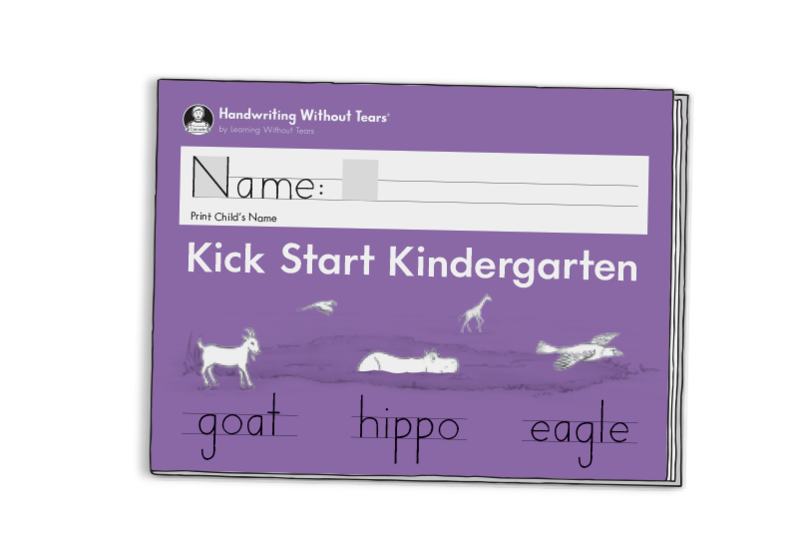 The Kick Start Kindergarten workbook can also be adapted for Pre-K students for practicing lowercase letters and kindergarten students who struggle with the pace of the kindergarten workbook. Download new Kickstart Kindergarten sample lessons, and further explore the curriculum!